Today marks the 5th anniversary of REB Architects, PLLC. 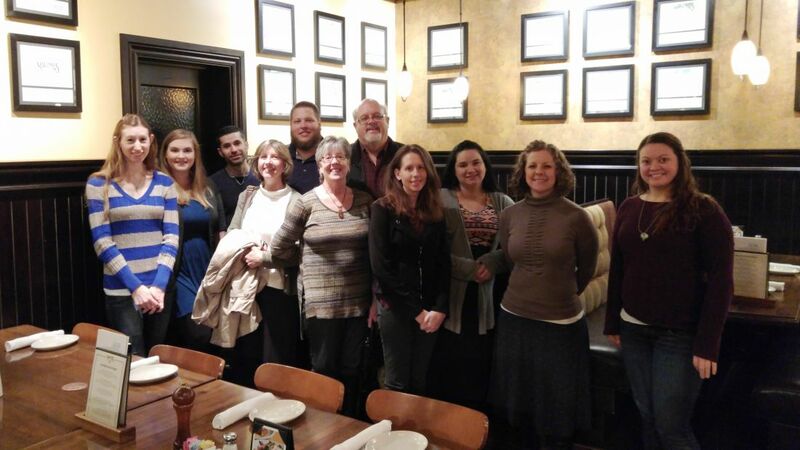 Our staff took time to celebrate by having a long lunch at Malone’s Steakhouse today, and reminiscing about our experiences over the past 5 years. Mr. Robert E. Byrge was the Principal Architect for the Kentucky branch office of Snapp & Associates, Inc from 1995 to December 2011. Once the previous owner, David Snapp, began the retirement process, Mr. Byrge took over the company and changed the name to REB Architects. Clients and staff loyally followed the transition, and have helped make the past five years as REB Architects remarkable. While celebrating our company’s anniversary, we also reflect on the hard work and accomplishments we have reached over the past five years. Our office has continued to grow in numbers of staff and clients, and we look forward to many more years to come.